SP Blankets & Throws To Knit - Crochet Stores Inc.
Start with a choice of 100 different blanket squares; create up to a dozen unique afghans! From an eye-popping Candy Mixture to the pastel perfection Queen of Hearts, from a baby's blanket to colorful motifs embellished with beads and buttons, each design combines a variety of techniques and textures in sumptuous yarns. Fabulous close-up photos of each square, plus one of the finished project, show off these knitted treasures in glorious detail. 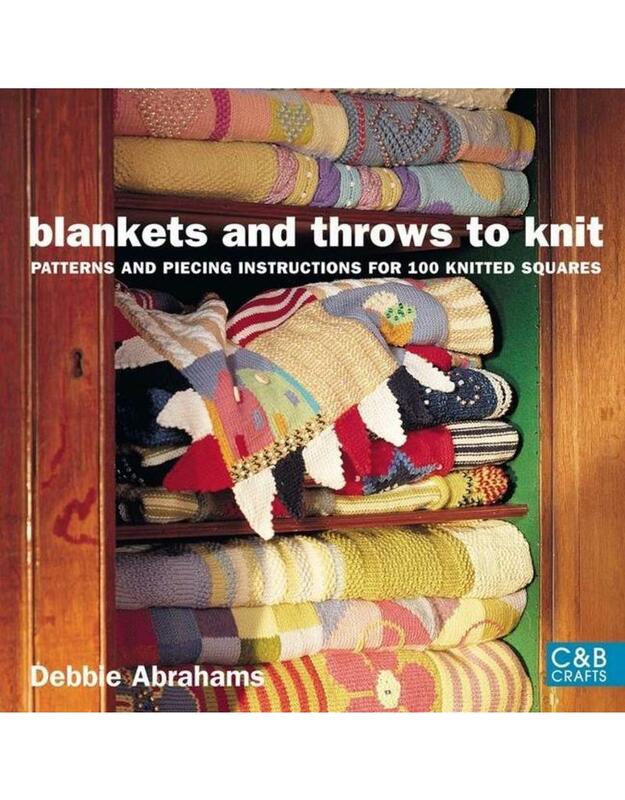 Debbie Abrahams is renowned for her vibrant, contemporary hand-knit designs that have inspired knitters worldwide. Previously a Design Consultant Manager for Rowan Yarns, Debbie now enjoys teaching and encouraging knitters to keep the craft of hand-knitting alive. 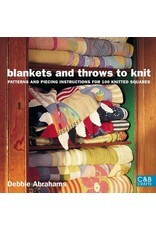 Debbie's most popular titles include Blankets & Throws to Knit and 25 Beaded Knits (both published by Collins & Brown).